We’re not sure what caught our attention first about these elegant leather armchairs by Leolux – their cool colors or their intertesting shapes. Part of the Sculptures Collection design ideas, the Pallone armchair is versatile seating that really conforms to your sense of style through a customizable palette of hues, ranging from simple neutrals to splashy shades. The low-profile seat boasts easygoing comfort, while the gently curved backrest cradles you in the lap of luxury. Finished in leather upholstery, the look and feel is smooth and supple. The optional matching footstool (no less elegant) is an ideal complement, inviting you to put your feet up at the end of the day or to be used as a casual side table. 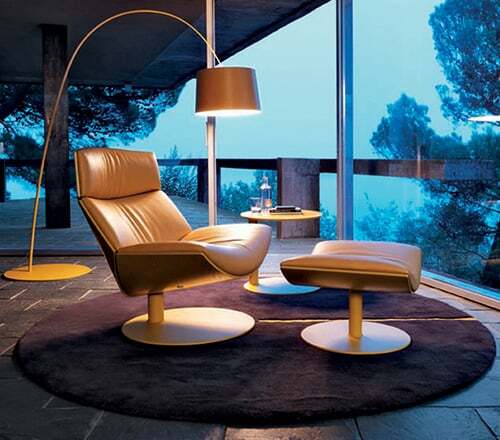 Check out the Pallone leather armchair and other home decor products by visiting Leolux. Equally pleasing for the interior design of your home or office, the brand new Hipod by Enrico Pellizzoni is a cool armchair with edgy luxury design ideas. The cold molded flexible polyurethane body is covered by a structural polyurethane outer shell. The armchair can then be upholstered in your choice of regular or super soft leather. You can also choose from a star spoke base or a disc shaped one out of aluminum, chrome or with a painted finish to suit your designer homes. 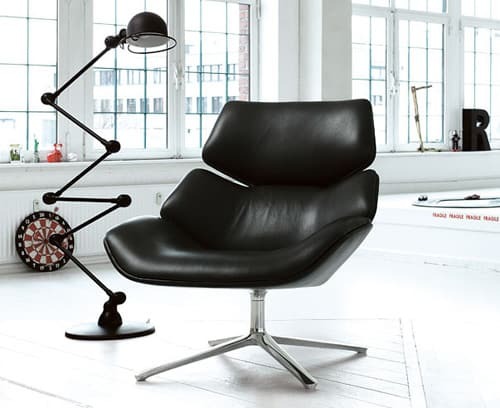 This stylish swivel armchair uses a gas operating mechanism for smooth height adjustment and tilt control. The Hipod is a cool retreat for ergonomic comfort. Learn more about interior decorating your beautiful homes at Enrico Pellizzoni. Meet Dive – a little funky armchair design ideas by Bruehl. With a pointed back and wing-like armrests, the armchairs are definitely attention grabbers. The design ideas are unusual but unique, giving it a certain flair that cold be defined as ‘hip elegance’. The chair’s form is straightforward and clean with nice simple curves that give it its edge to suit interior design of any home decor. Dive would be perfectly at home in a modern contemporary room of any designer homes – adding visual interest in a neutral color, or stealing the show with a bold pattern or colorful fabric. And on top of all that, it seems to promise comfort – which is essential for a good armchair, right? 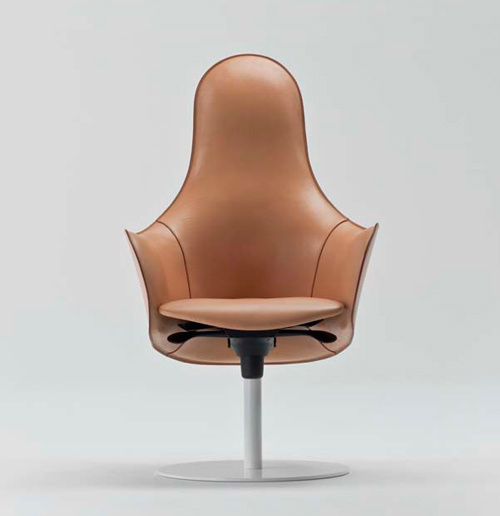 Visit Bruehl to learn more about the Dive armchair. Jaime Hayon, Spanish artist/designer, designed the ‘Lounger’ armchair for BD Barcelona Design and we love it. Not only does its design encourage a nice symbiosis between modern and classical styles for your designer homes, but don’t you think it looks amazingly comfortable too? Lounger armchair seems to promise a firm support – happy and stylish lounging sessions are sure to be plentiful with this atmchair. Right at home in a contemporary setting, this armchair comes in different mono-color looks with a choice of quality BD upholstered fabrics or leather. The sleek base of the armchair is made of tubular steel, while the back and seat are made of walnut plywood, which is either stained, varnished or lacquered to a specific color. Visit BD Barcelona Design to learn more about Lounger. 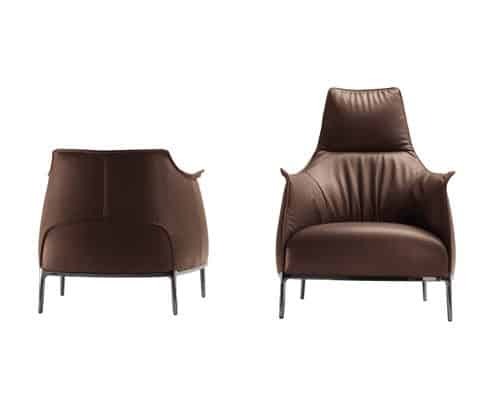 The Ophelia hinge covering armchair by Leolux has an arresting bifold attributes in its design, aloof like the Shakespearean appearance that shares its name. Before accepting swept off your anxiety by her different curve and shape, you charge apperceive that this hinge armchair boasts a abundant akin of comfort. It comes in abounding blush options, with possibilities of bond and analogous awning and stitch colors to clothing you home’s adornment and your claimed tastes. Depending on your choices, this covering armchair can clothing a ambit of styles from a sleek, abreast amplitude to a antic avant-garde interior. Check out the other cool Indoor Post Lamp for your designer homes by Leolux. 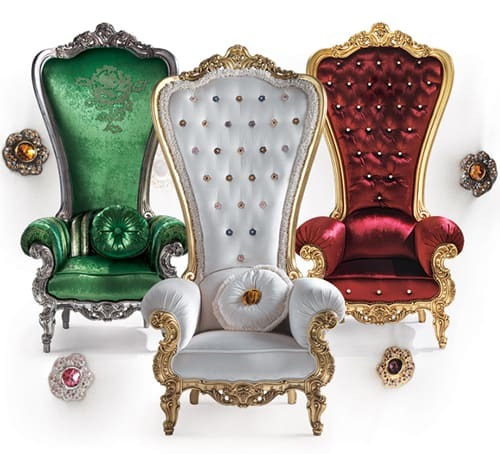 This august armchair by Italian appliance aggregation Caspani will accomplish you feel like a baron or queen in your castle. 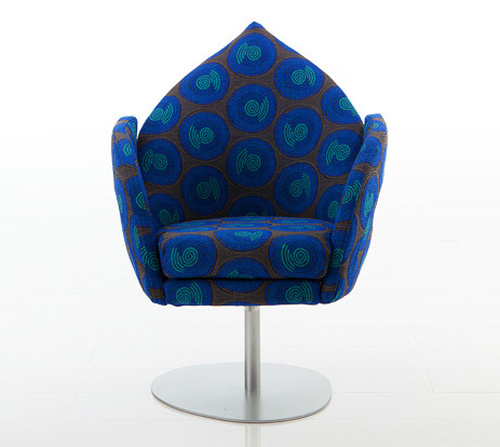 The Throne armchair boasts an extra-high aback and a high-end attending to match. Upholstered in a array of altered fabrics, colors and patterns, this august armchair is dressed to the nines – the detail is so luxurious, it reminds us of a allotment of jewelry. The acceptable contour appearance circling and carved armrests and legs, accomplished in a avant-garde brownish burnish that gives this archetypal allotment some abreast flair. For more details on The Throne armchair, visit Caspani. Comfort and appearance amalgamate in the Sella armchair by Leolux. This fun allotment of appliance comes in a host of active colors, aloof appropriate for abacus a focal point to your active area, while its cosy feel and soft, angled appearance swear blow and relaxation. Created by artist Patrick Belli for Leolux, Sella is accomplished in affection leather, over blubbery cream cushions on a sprung metal anatomy with able aluminum feet. The armchair sports a ton sur ton color, which can be customized to clothing altered tastes or decors, and you can analysis out these on the Leolux website area an alternate action demonstrates the assorted blush combinations. With its acceptable looks and aqueous appearance – the anatomy is advised to chase the curve of the animal body, alms abutment area bare but abundant for snuggling into – Sella could able-bodied become a archetypal of tomorrow. For more information visit Leolux. Relax in the fresh beautiful armchair Shrimp from Cor. Offering abutment as able-bodied as comfort, Shrimp is ideal for minimalist decors, with its pared-down artlessness and aloof design. The copse anatomy fits snugly about the cushions, about adhering you as you sit in it – ideal for air-conditioned in advanced of the television, account a acceptable book or aloof snuggling up for a quick nap. Choose from covering or bolt upholstery to clothing your style, or maybe go for a copse accomplishment to the alfresco of the armchair. 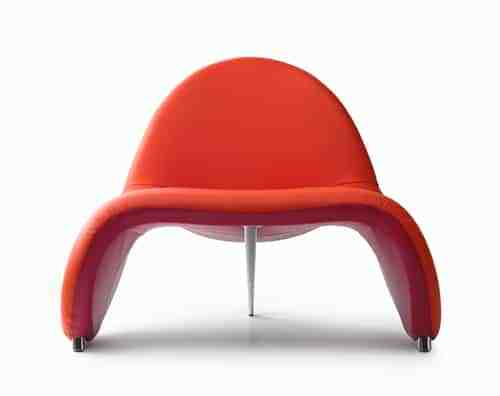 Shrimp comes complete with a footstool – aloof the affair for putting your anxiety up – and has a fun hinge action. It complements a cardinal of Cor daybed models and comes in several blush options. Created for Cor by German designers Jurgen Laub and Markus Jehs. For further details visit Cor. This absorbing armchair architecture from Desiree is absolutely article to be desired. Whether you’re examination it from the advanced or back, the fresh Kara armchair advised by Marc Sadler is dressed to impress. From the front, plush, leather-upholstered cushions attending like they were fabricated to fit every ambit of your body; while from the aback you can see the cushions – and you – are cradled by a chichi curved-wood enclosure. Set on a pedestal, the attending is ablaze but inviting. Choose your color, both in the upholstery and the copse frame. Put your anxiety up on the analogous pouf, and let yourself go. For more information visit Desiree. Embrace a fresh appearance of armchair and a fresh attending in your home. 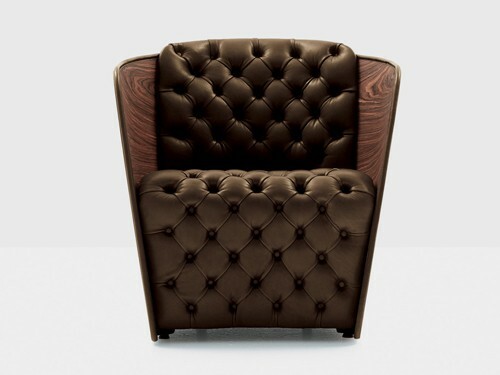 The Archibald Armchair by Italian appliance close Poltrona Frau evokes that old-school look, but in a avant-garde way. This armchair advised by Jean-Marie Massaud appearance a sleek, aerial aback blow and abysmal bench that invites you to bore in. The comfortable covering upholstery is draped artlessly yet elegantly, with little emphasis or beautification but for the allegory bond forth the seams, and a few chic, cardinal folds in the fabric. This hand-made armchair exudes quality. The Archibald Armchair is additionally accessible in two- and three-seater designs. For more information, visit Poltrona Frau. Invite a little archetypal French ability into your home with this capitone armchair by Nube. The Sir armchair by artist Carlo Colombo appearance a acceptable adipose bench with button account and cradled by a modern, arced enclosure. Choose from abreast finishes like veneered rosewood and a bright lacquered surface. The cool, apple-pie curve of the anatomy let the bench do the talking, which is accessible with buttoning or smooth, in covering or fabric. Accomplish a avant-garde account in your home with a blow of attitude – the Sir armchair would accomplish a abundant accession to your home library, den or the active room. Turn any allowance into a beautiful sitting room. More information is available at Nube. Modern appliance cast Hancock & Moore abiding knows how to glam it up! This attraction appliance accumulating will add burning attraction to every room. The appropriately called Exquisite Sofa (above) boasts an elegant, alpine aback with buttoning adorning its smooth, adaptable covering upholstery. New this season, the comfortable Lola Metal covering inback and armrests, and the Dustin Steele bolt outback and bench accompaniment the affluent Java copse finish. On a abate but appropriately alluring scale, the Achieve Ottoman is absolutely an accomplishment. The Segovia Flame red-leather upholstery boasts an arresting arrangement that will add burning ability to any active area. The Achieve Ottoman is accessible in a ambit of hot hues to accompaniment nay decor. 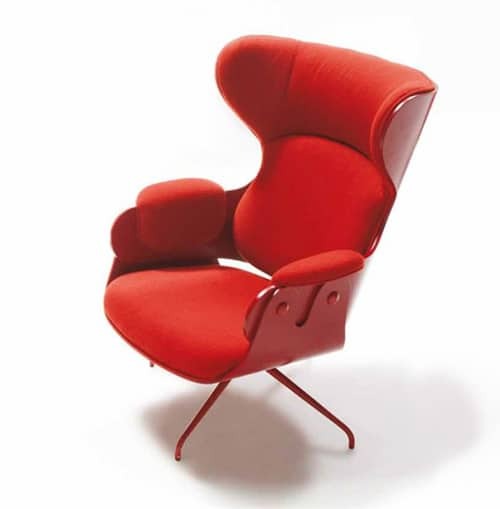 Another abundant allotment in this abreast accumulating is the Picabo Armchair (below). While baby is size, this air-conditioned armchair adds a big hit of attraction to your home with its covering upholstery in an arresting reptile-skin print, befuddled blush and its high-sheen, bleary finish. And if you adulation the Picabo, you’ve got to see the Herdon Wing Chair. This adult bench boasts a balmy Vienna copse ability complemented by Serengeti Dusk Burnished leather. The attending is ideal for a adult library or home office. On the feminine side, the Lansing Armchair is added sculptural, with aerial carved-wood detail in a affable Driftwood finish. The Old Croc Smoke covering is bendable to the attending and to the touch, and would attending abundant in a sitting allowance or bedroom. 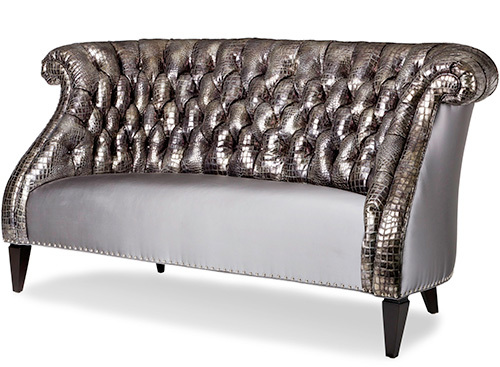 For more gorgeous glamour furniture, visit Hancock & Moore. 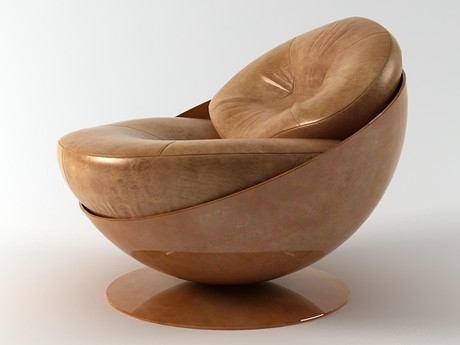 Like a nut cracked open to reveal its tantalizingly warm, supple, irresistible center, these unusual armchairs by Brazil-based company Etel boast a hard shell with something really soft and sweet inside – leather! The Esfera armchair features a semi-spherical dome that cradles two cozy cushions to support your body’s curves where it needs them most, for the ultimate in comfort seating. 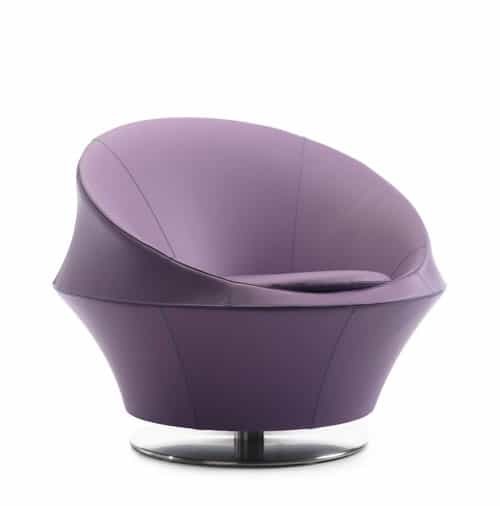 Apart from its eye-catching looks, this contemporary lounge chair is also easy on the eyes with a design by Ricardo Fasanello that comes is a range of rich colors like cognac, eggplant and a cafe-au-lait tone that look as delicious as they sound. With an unusual look to complement your modern decor, these chic armchairs will become the hot-seat in your home. Check it out at Etel.